If you’re up for a hill challenge within walking distance from downtown, Sentinel Peak, AKA “A Mountain” is a great opportunity. 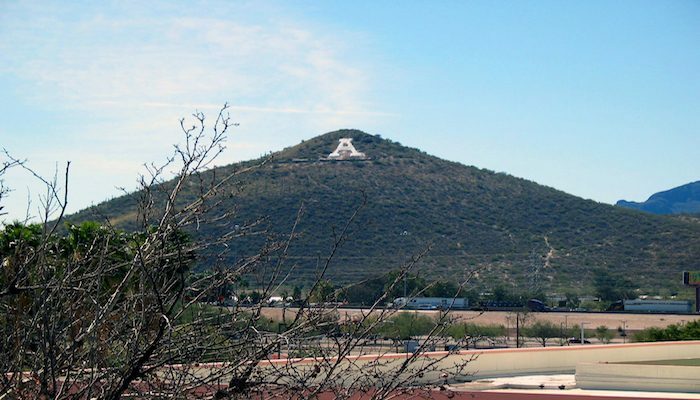 It is called “A” Mountain because it is painted annually by university students. The climb itself is about 1.5 miles, 500 foot elevation gain, with up to 6% grade. There is no sidewalk but there is a reasonable shoulder most of the way and not too much traffic, either. There is a gazebo on top of the mountain. Our route starts from the corner of Congress St. and Sentinel Peak Rd. One can also start closer to downtown (1 mile to the west) or the university (1.5 miles west). Can I just say what a aid to seek out someone who truly is aware of what theyre talking about on the internet. You undoubtedly know the right way to bring a problem to mild and make it important. Extra people need to read this and perceive this side of the story. I cant believe youre no more popular since you undoubtedly have the gift.